When you fall behind on a debt for an extended period of time, creditors will often send your account to “collections.” As many of you probably already know, this means that you will have a debt collector calling and writing to you in an attempt to collect on the debt. Millions of Americans are pursued by debt collection companies every year, however, very few are familiar with their business model, the laws that regulate them and how best to put a stop to their abusive tactics. This article will help you get up to speed on the debt collection industry and give you practical tips for dealing with the letters and phone calls. Who are these shadowy figures that call at all hours to collect on past-due debts? How do debt collectors get paid? Who regulates debt collection companies? How can I stop them from calling? Just as the name implies, debt collectors are individuals or businesses whose primary job is to collect debts. Although they usually have funky names like RNC Financial or Arrow Financial Services, collection law firms who regularly pursue past due accounts qualify as debt collectors. It is important to be aware be aware that original creditors, such as a bank or credit card company, will not be governed by the FDCPA because they do not fit the definition of a debt collector. The principal purpose of their business is not to collect debts. Generally speaking, the only time an original creditor will qualify as a debt collector under the FDCPA is when they use a name other than their own to collect the debt. In these cases, the FDCPA considers creditors to be debt collectors because they are behaving like collectors. There are two common arrangements under which creditors work with debt collection companies: contingent payment and debt sale. Under a contingent payment arrangement, the original creditor hires a debt collection company to pursue a delinquent debt, with the collection company receiving a percentage of the amount they are able to collect. Depending on the type of debt, the age of the account and how many attempts have already been made to collect on it, the fee for successfully collecting could range from 10% to 50%. The advantage for debt collectors in a contingent arrangement is cost; they aren’t required to front any money in order to gain the right to pursue the debtor. 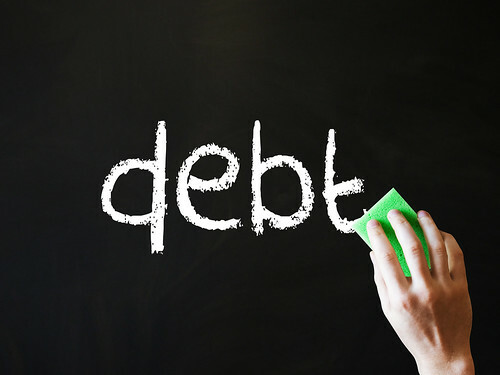 By contrast, the second most common arrangement under which creditors work with debt collection companies, selling debt, requires debt collectors to purchase past due debts so that they can then try to come after the debtor for the full outstanding balance (or as much of it as they can get). In cases where a borrower has fallen behind and the creditor views the likelihood of successful collection to be small, they may elect to sell the debt at a highly discounted rate to a debt collection company. For example, Creditor X is owed $500,000. Based on the financial picture of the borrower, Creditor X calculates a very small likelihood of collecting the full outstanding balance. In order to recoup some money, Creditor X sells the $500,000 debt to a debt collector for $100,000 or 20% of the outstanding loan balance. The debt collector then pursues the debtor for as much of the outstanding balance as possible. Everything they collect over and above $100,000, is profit. Consumers need to be aware that the sale of debt in no way guarantees that the debt collector has the legal right to collect. In many cases they do not. Numerous articles have been written on this Forum about debt collection companies who buy “zombie debt,” i.e. debt that is no longer owed due to the expiration of the statute of limitations. In other words, it is not uncommon for debt collection companies to try to pursue consumers for debts that they do not legally owe. Debt collectors are regulated by state and federal law. The scope of this article is to short to address all of the various state laws on the subject, so we will continue to discuss the federal FDCPA instead. I you have questions about your state’s consumer protection laws, it’s always best to contact a local attorney. Now back to the FDCPA. In order to address widespread abuses in the debt collection industry, Congress passed the FDCPA in order to rein in the tactics of debt collectors. The FDCPA prohibits abusive or coercive behavior in pursuit of a debt and awards consumers statutory damages of $1,000 for each violation of its code of conduct. Specifically, debt collectors are prohibited from contacting 3rd parties, such as family members and friends of the borrower, when they have knowledge of the borrowers current contact information and address. They must limit collection calls to reasonable hours and must not intentionally harass debtors. Further, once a consumer communicates to a debt collector in writing that they wish for communications to cease or the collector learns that the debtor has hired an attorney, the collection efforts must stop. Always send written correspondence via fax or certified mail so that you can prove it was sent. If it becomes necessary to pursue a claim under the FDCPA, proof of written communication will help your case. Debt collectors are third-party businesses whose sole purpose is to collect debts. Under federal law, original creditors do not qualify as debt collectors unless they are attempting to collect under a different business name than was used to extend credit in the first place. Debt collectors get paid when they collect on delinquent accounts; either as a percentage of what they’ve collected or after purchasing the debt outright. State and federal law regulate the debt collection industry. The FDCPA prohibits abusive or coercive tactics on the part of debt collectors when they are pursuing a debtor. If you find yourself overwhelmed by collection calls or letters, it is always a good idea to meet with a local attorney. There are powerful laws that can help.